I love weddings that are thoughtfully designed (but not overly done) and go against the grain. The great things about most of these weddings is that they aren't necessarily the ones with the biggest budgets. Picking great wedding colors can stretch your budget in creative ways. My favorite color combination right now is red tones with pops of yellow. There's something fresh and delicious about these two colors and when they're placed next to each other the become even more vibrant. Rainer cherries, red and yellow flowers, so fun. I love the chairs in the top photo, all red with an unexpected yellow back, lovely. How fun would that be for a wedding? 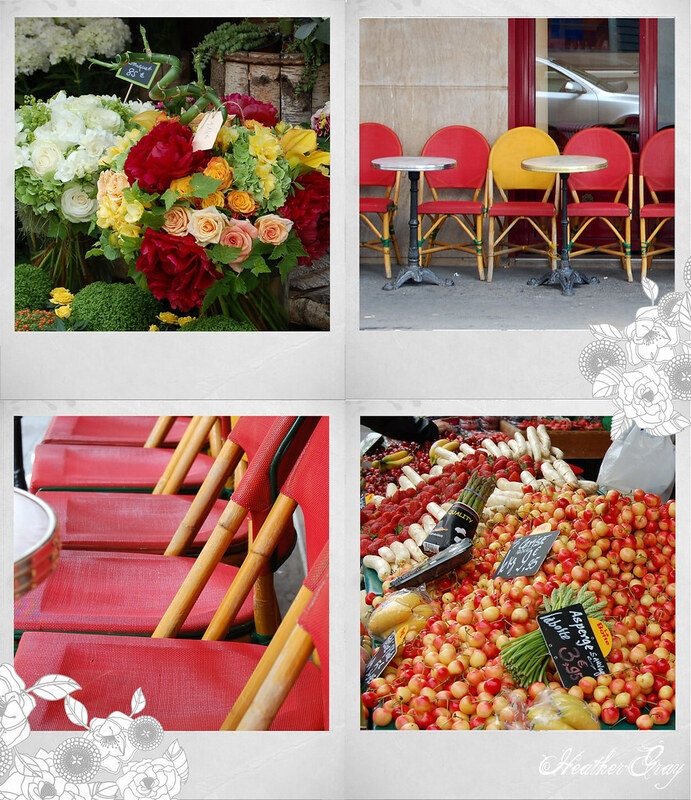 Red and yellow are welcoming, warm and happy colors, great for a celebration of love. They also make you hungry which is why McDonalds, In-n-Out and many other chains use them in their logos and advertising. It's great to consider the psychological elements of colors for your wedding. If you're planning a wedding I hope you find colors that make you happy, mean something to you and creative the mood you are looking for.